How is the hit Netflix Adaptation Different From its Source Material? Gerard Way is known for a multiplicity of achievements. 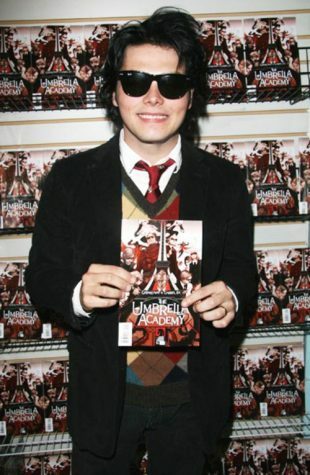 The former My Chemical Romance frontman has been present on the music scene since 2001, but has also graduated from the School of Visual Arts in NYC, and held jobs for Cartoon Network, DC, and Dark Horse comics. 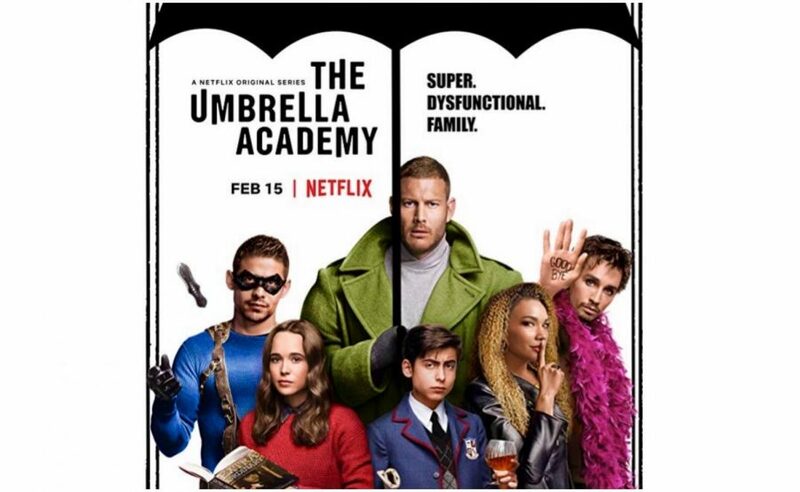 While still on the road with his bandmates, the jack of all trades was hard at work sketching character ideas and plot points for his first original comic book series, The Umbrella Academy. 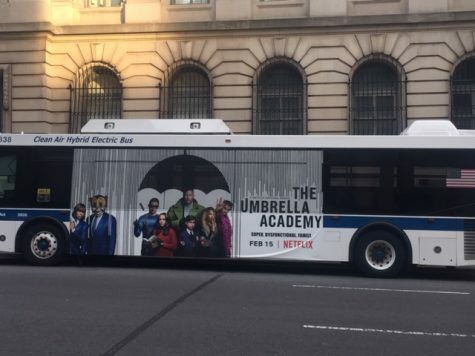 Just months after the release of MCR’s smash hit rock opera extravaganza, The Black Parade, The Umbrella Academy’s first issue, Apocalypse Suit, hit the shelves. The series, which follows a dysfunctional super-family of seven gifted siblings, has been a success ever since. It has since expanded its storyline through the six-issue volume Dallas, concluding in 2009, and the currently-releasing Hotel Oblivion. Most notably, however, it has recently found groundbreaking success in the form of a Netflix adaptation. The show has brought in many new fans, not all of whom have read the comics. Neirad has compiled a shortlist of the major differences between the books and the show for those of you seeking out more info on your favorite characters. Beware- spoilers ahead! 1. Leonard Peabody is not a character! Most veteran viewers of the show will be glad to hear that Leonard Peabody doesn’t make an appearance comic book universe. However, this doesn’t mean our Number 7 can catch a break. His place is filled by the conductor of the Orchestra Verdammten. This group of villains, whose title translates to The Orchestra of the Damned, has an appropriately evil goal- to destroy the world. The Conductor has composed a piece he calls Apocalypse Suit which, if played in the right key, can start the apocalypse. But he is missing one key piece- Vanya. Unlike Leonard, who is fueled by a desire for revenge against the Academy, The Conductor unlocks Vanya’s powers in an attempt to end humanity. He also looks way cooler doing it. 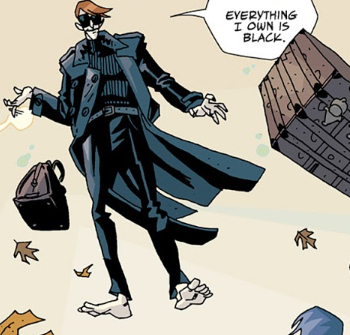 The apocalypse is totally a black-tie event. The Handler’s suave black dress, bright red lipstick, and carelessly poised cigarette make her an easily identifiable character in the show. Her position as the keeper of the time continuum only adds to her air of importance. Viewers may be surprised to see this titan of the time industry in her original, comic book form. That’s right- the Handler was formerly a goldfish. It’s important to note that he was a particularly tech savvy goldfish, with a robotic body and the brain of a human genius. Looks like Number Five is going to have to deal with overbearing management the hard way in every universe. Diego, The Kraken, however you know him, Number 2 is one of the most lovable members of the T.V. Academy. Fiercely loyal to those he cares for, Diego’s character is largely fleshed out by his dedication to Mom and Detective Patch. Unfortunately, his old flame wasn’t a flame at all in the comics, as Patch is not an original character. In the television series, Detective Patch replaces the comic’s Inspector Lupo, a middle aged man with no patience for his interference. Additionally, Diego’spower is just a little bit different in the books. 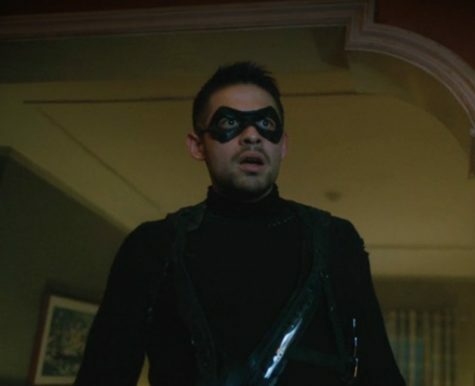 While the Netflix adaptation gives Diego always accurate, always lethal aim, The Kraken derives his name from his original comic ability to hold his breath indefinitely. 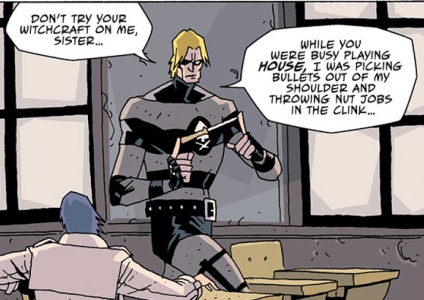 Not as useful when you’re a troubled vigilante with family issues, but at least in the books he doesn’t suffer from a stutter. Everybody loves Klaus. 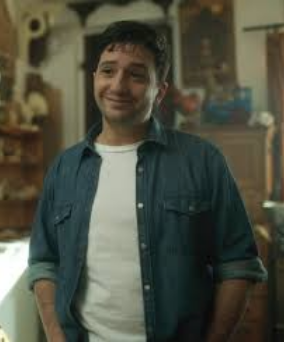 A recovering drug addict, Number 4 struggles through the show to reconcile his fear of the dead with his connection to the spirit world. 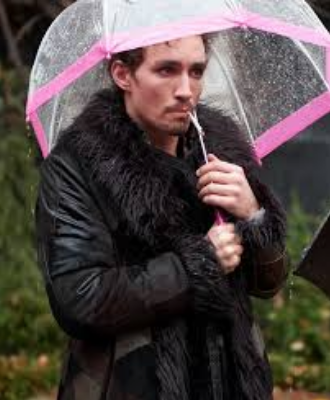 In the show, his father expresses his immense disappointment in Klaus for never even scratching the surface of his ability, but the Klaus of the comics sees much greater success. Not only able to connect with the dead, The Seance can take the shape of the spirits he communes with, levitate, and seemingly move objects at will. For all that he gains in the comics, however, there is one thing lacking: Dave. Netflix’s Klaus meets the love of his life on an accidental time traveling stint to the Vietnam War, where they serve together. While this does not take place in the comics, the idea is based off a two-page bonus short entitle Mon Dieu, where Five accidentally sends Klaus back to the Napoleonic Wars. 5. Last but not least: Vanya. Need we say more? Number 7, or the White Violin as she is known post-power discovery, is perhaps the most important character in the series. She single handedly causes the apocalypse in the show, but as we already mentioned, the comic’s storyline requires more of a group effort. Her power is not entirely fleshed out in the show or the comics. 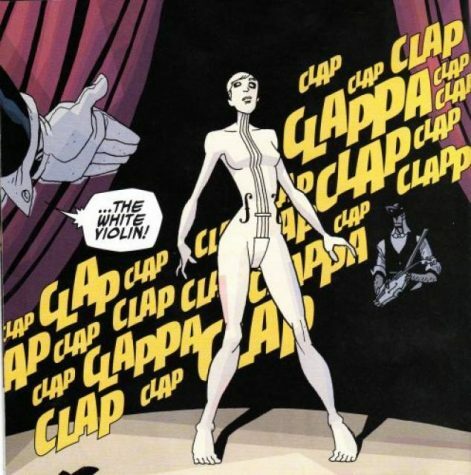 Vanya seems more powerful in the television adaptation, where she has the ability to move objects and people at will that is not explored in the comics, which focus more acutely on her transformation into The White Violin. 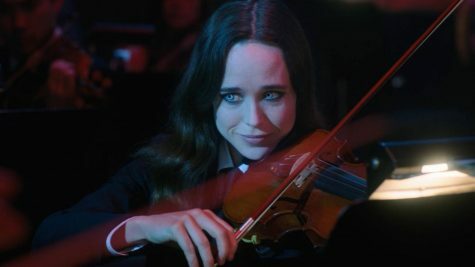 While viewers see Vanya’s eyes darken as the evil takes her over, readers witness the character physically transform into a humanoid violin as her powers, and the forces of evil, claim her body. 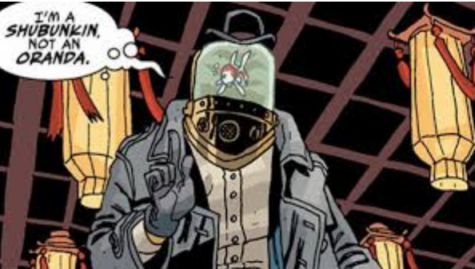 If you enjoyed the show and you’re eager for more, check out the Umbrella Academy comic books! Much of the plot is drastically different, and readers are definitely in for a surprise. Pick up Apocalypse Suite here and Dallas here. Stop by your local comic book shop to keep up with the new issues of the third arc of the series, Hotel Oblivion (my favorite is Heroes, Comics, & Cards in Norwalk). Happy reading, and happy watching!